Indoor Walk and Run modes use your phone’s pedometer and/or accelerometer to calculate distance instead of your phone's GPS. Phone pedometers are not as accurate as GPS and the distance shown on Charity Miles may not match the distance shown on a treadmill display. Your device is resting in the treadmill’s holder. Your app won’t track any distance here. Put your phone in your pocket, hold it in your hand or secure in an armband. Make sure your device is on you so it can track mileage. Tracking performance can vary significantly depending on the smartphone model you’re using. We depend on the hardware of your phone’s accelerometer to calculate the distance of your workout. Specifically for iPhones, enabling Charity Miles to use Motion & Fitness allows access to sensor data like body motion and step count which will improve accuracy. Enable this by going to Settings > Charity Miles > enable Motion & Fitness. If you’re consistently experiencing large mile discrepancies, please let us know. Simply click on Contact Us in the top right-hand corner of the Help section or email: support@charitymiles.org. Motion & Fitness are not an option on my iPhone. the only options I have are location, background app refresh, & cellular data. Ivery been using this app for months, I started having this issue last weekend. it would not begin counting distance until I enabled GPS or Motion & Fitness, but I don't have those options. How should I proceed? If you like the fitness and motion activity tracking feature on the iPhone, you should have this setting left on. Turning this off will empty the Health app dashboard of tracked fitness data as well. 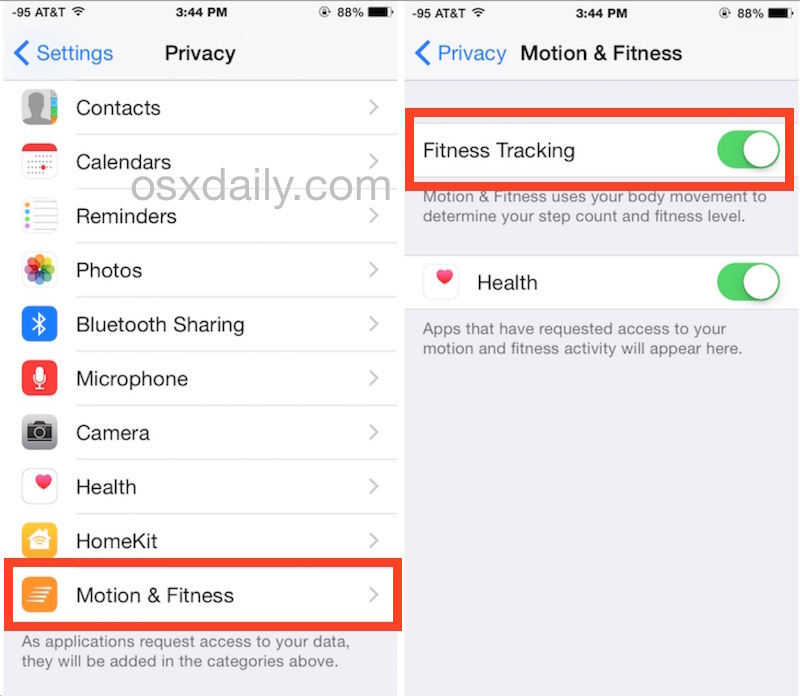 http://osxdaily.com/2015/04/05/toggle-motion-fitness-tracking-iphone/ is the site. It worked for me to do this. I upgraded to Android 8.0 on my pixel and I get no distances now when I use charity miles, indoor or outdoor. I have a Droid Turbo with Android 7.0. I cannot track miles at all indoors. Is there an app that will sync with Charity Miles or a work around? I'm on a Galaxy S7, Android ver 7.0. Indoor tracking is terrible. I just ran 3.1 miles on a track and CM only logged 1.1 miles. I use my phone in an arm band. Other apps track just fine (Zombies Run, fitbit, etc), but CM does not. Since other apps work fine, this means that the CM app is the issue. GPS works most of the time, but indoors is terrible.